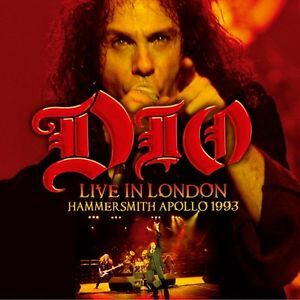 Having being four years after the death of one of the most distinguished voices in the history of heavy metal, we have yet another Dio release, this time an unreleased concert filmed multi-camera that was recored on December 12, 1993. At the time, Ronnie James and his band were touring in support of the grueling, dark album “Strange Highways”, material whose previous history was inspired from the album “Dehumanizer” by Black Sabbath (1992), who in the midst of the “fever” grunge, Dio had wanted to show the world they could be the heaviest band in heavy metal, and “Dehumanizer” was pure granite. After his departure from Sabbath, Dio and his band rode again “Strange Highways” and this was a perfect continuation of “Dehumanizer” but with a more industrial “touch” if you will, adapting to the times. His faithful sidekick, Vinny Appice tremendous saddle returned to the battery and bassist Jeff Pilson multifaceted (Dokken), seized the four strings as a prodigy, who along with keyboardist Scott Warren (Roug Cutt) and the Chicano guitarist Tracy G (Tracy Grijalva), who came to play with Appice, Jimmy Bain and Mandy Lion WWIII in the group with an excellent self-titled debut album in metallic Rainbow plan, gave life to the new incarnation of Dio. With a really heavy, high-quality sound in DTS 5.1 format, the concert starts with the classic ‘Stand up and shout’, where the teacher shows that he was on a level with it’s spectacular voice, as he did throughout his career, keeping up his vocal quality when he died at age 67. The band sounds really tight, playing with great hunger and ferocity and as for Dio, very energetic not only vocally but physically, infected by the irrepressible stage animal is Pilson, who also does a great job in the chorus. The dynamic Appice as always featuring pounding juggernaut on drums and as like you can hear the intricate keys of Scott Warren with just enough behind the keyboards. Underrated in this batch is guitarist Tracy G, who was always resisted by fans. The guy has a guitar sound that is fat, thick and very strong, featuring heavy weight riffs, displaying an array of guitar solo improvisation to be admired; he says in interviews backstage , that each night he has to improvise his solos to give a “fresh and personal touch” to the songs. But what is most interesting about this show, besides the usual classics like ‘Heaven and hell’, ‘The last in line’, ‘Holy diver’, ‘Man on the silver mountain’, ‘Rainbow in the dark’ ‘We rock ‘and others are no less than six songs, taken from”Strange Highways” which the band performed live, songs that sound even heavier than the studio version and demonstrate that despite the sound of both industrial production, this is a very good album that was always relegated to Dio discograph. Even though it may not have that dazzling brightness of other classic plates, but when one is immersed in it, you realize that “Strange Highways” has manyat time very good metal. The extensive tour is complete with a section of interviews in the chapel of the band post show, where you can see the relationship that Ronnie always had kind with his crew, with his band and his legendary wife and manager Wendy Dio. Undoubtedly, an unprecedented and shocking testament really worth seeing again and excited with all the artistic and interpretative greatness of this small but great giant, cheers to the eternal legend and unforgettable Ronnie James Dio. 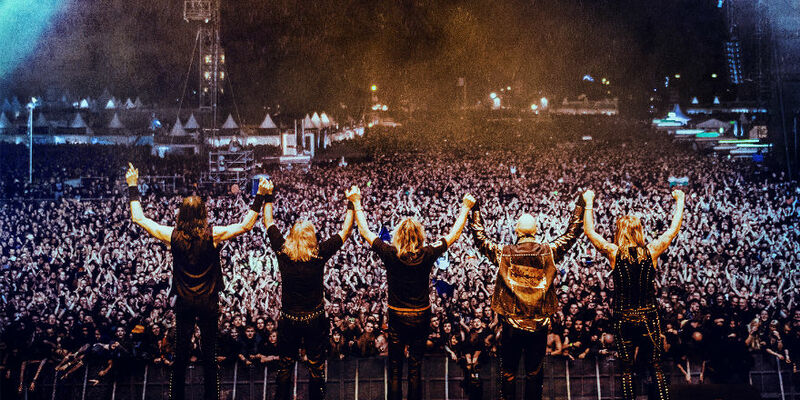 Take notice if you are and up and coming metal band, don’t forget the past, cause when bands like Priest are all but extinct, they still will be remembered what the influences they left behind and the diamonds of songs they delivered record in and record out.